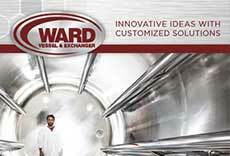 Beyond simple pipe cutting / beveling projects, Ward brings significant industry experience with planning and performing complex field machining applications. Whether boring tight-tolerance valve or pump clearances or using a gantry mill to hold extreme tolerances over large areas, our experience allows us to approach customer projects with our eyes wide open to ensure the best possible equipment and most experienced technicians are utilized. When needed, we utilize precision metrology to pre-measure, dial-in equipment, monitor work and take final measurements.